Carol has been at Amesbarry Chiropractic since September 2017. Carol decided to become a Certified Massage Therapist because she loved learning about the body and the way it works. She found she really enjoys working on feet doing reflexology. Carol really enjoys helping others to feel well and tries to be a healthy person herself. 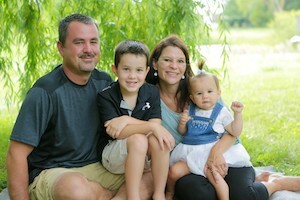 Carol is married with 2 adorable children ages 1 and 7. In her free time she enjoys boating, snowmobiling, walking and shopping. Carol enjoys going to kids sporting events and she loves hockey! Read all about our Massage Therapy services and call or text us today to make an appointment!